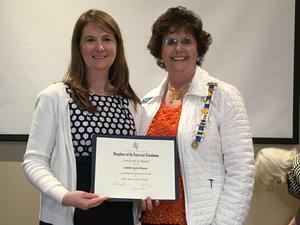 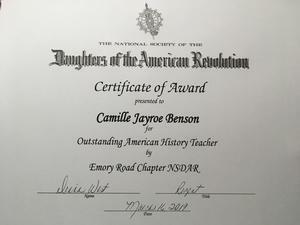 The Emory Road Daughters of the American Revolution recognized Camille Benson as the Outstanding American History Teacher on Saturday, March 16, 2019. 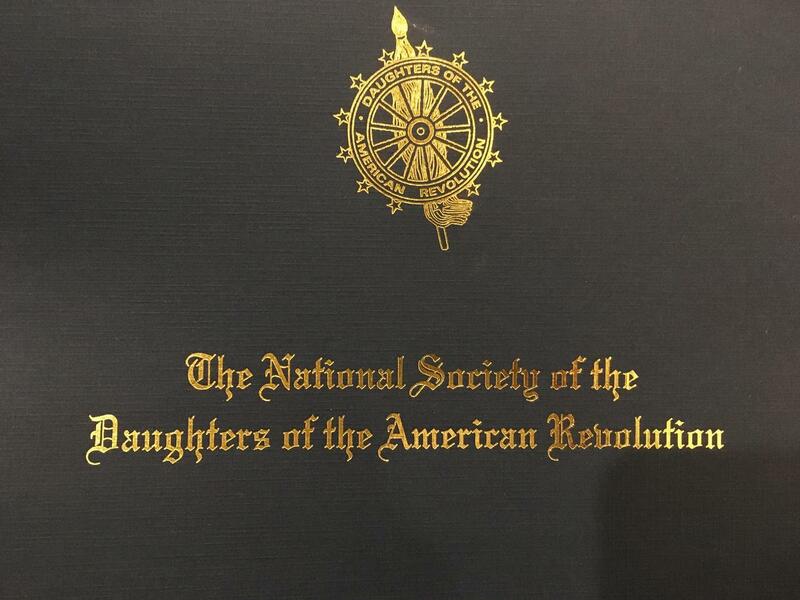 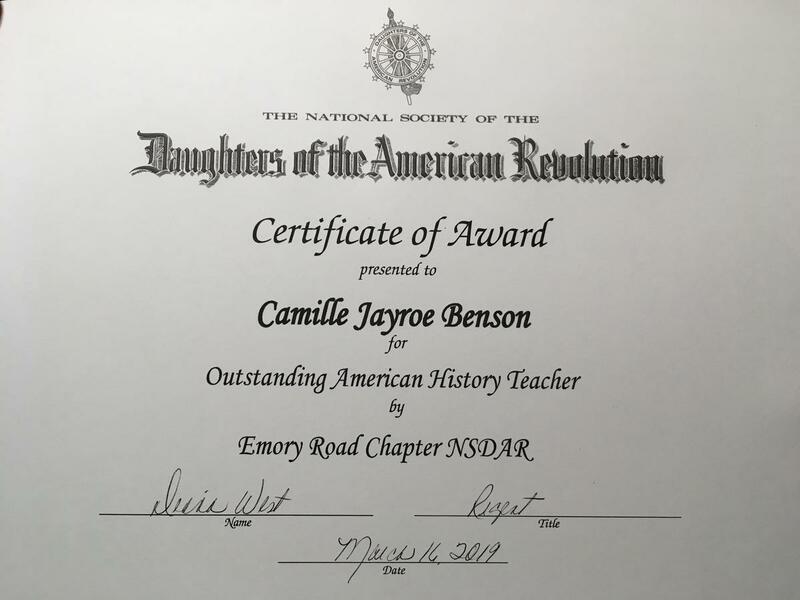 On Saturday, March 16, 2019, Camille Benson, TSD Knoxville Upper School Teacher, was recognized as the Outstanding American History Teacher by the Emory Road Daughters of the American Revolution. Benson's dossier will be submitted to the state historian of the Tennessee DAR Society for competition with other chapter honorees for possible selection as the Tennessee Outstanding Teacher of American History.